Looking for something fun and worthwhile to make your CV stand out from the crowd? Apply for our TLP Ambassador Programme 2018 for the opportunity to represent TLP at your university! You'll also get the chance to come to our popular events and network with leading law firms. Apply now! Here at The Lawyer Portal, our aim is simple: to provide the definitive resource for everyone considering a career in law, whatever their stage or background. 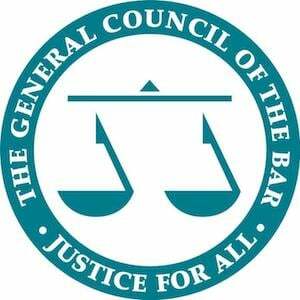 We are officially partnered with the Bar Council and CILEx and are working closely with law firms & chambers to provide the most up-to-date careers advice, alongside exciting and useful events. As a student ambassador of The Lawyer Portal, your role would be to promote the platform to people at your university – whether they are members of your law society, studying law or even other subjects. Why Should You Become a TLP Ambassador? You will connect with your university’s law students and help them secure their future law careers! What Will You Be Doing as a TLP Ambassador? Other opportunities to represent TLP may arise throughout the year. What Do Others Say About Being a TLP Ambassador? Our ambassadors for 2017-18 from twenty different universities rated the programme 4.4 out of 5 stars, and 100% of them would recommend the programme to a friend! Starting your second/third/fourth year of university in September/October 2018. You do NOT need to be a law student – in fact, we encourage non-law students to apply! The universities with non-law ambassador applicants will instead have two ambassadors, one law and one non-law.